Faced with the uncertainties now shrouding the global economy and the precarious position of the US dollar as a global currency, central banks around the world are now actively seeking to diversity their reserve portfolio and reduce their holdings of US dollar and euro assets. Based on the assumption that central banks invest 65 percent of their foreign reserves in US dollars and euro assets, the World Gold Council (WGC) analyzed a wide array of alternative assets that would make for the best possible diversification for the remaining 35 percent. Among traditional options like the Japanese yen, gold and British pound, as well as newly emerging ones like Chinese, Canadian, Australia, Swiss and Danish denominated assets, the Chinese renminbi, gold and the Australian dollar denominated assets, with their strong returns and support from sound economic fundamentals, stood out as the most appealing. However, due to access constraints to the Chinese and Australian sovereign debts market, the WGC assigned gold the highest value as a reliable reserve asset. In 2012, central banks around the world added 534.6 tons to their gold reserves, the largest single-year purchase since 1964, representing a 17 percent increase from the 2011 figures. Russia, Brazil and Philippines were the biggest buyers last year with 75, 34 and 33.6 tonnes respectively. Note:The percentage below shows the share held in gold of total foreign reserves, as calculated by the World Gold Council and all the data is available in March 2013. 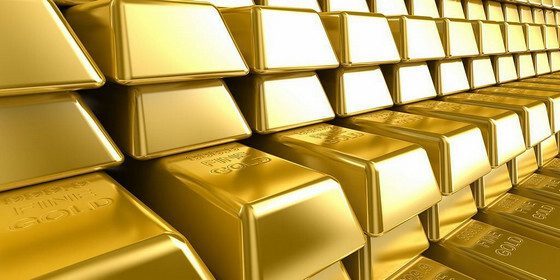 With uncertainties shrouding the global economy and the precarious position of the US dollar as a global currency, gold has increased its appeal as a reserve asset.